A new star is born at the thrilling Resorts World Manila. 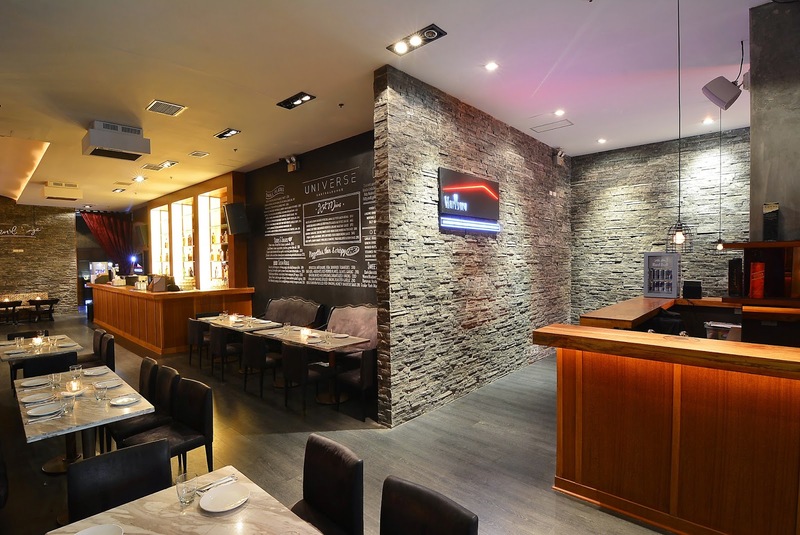 Universe Gastrolounge and Nightclub, the newest spot in town,officially opened its doors to the public last October 9, 2014. Boasting a distinctive kind of set-up, guests are in for a real visual treat as the venue presents a cozy lounge and a full-size club that are both in one place. Specifically in the gastrolounge, guests can expect low tables and couches for a cozy, more intimate ambiance when dining. With a fusion, comfort food offering in its menu, guests are in not only for a visual treat, but also for a delicious, filling one. 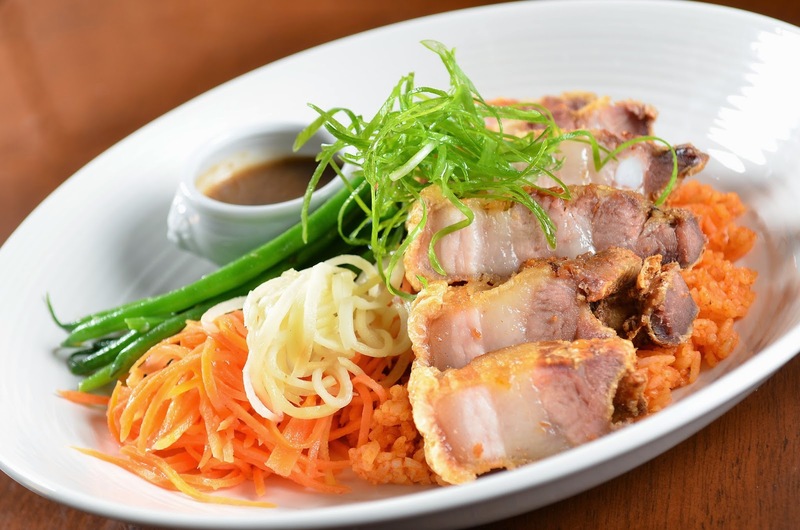 From famous Filipino, Japanese, to Italian cuisine, dining patrons can expect huge servings of their favorite dishes such as tapa with egg and rice, sushi, pasta and pizza, all at very reasonable prices. The gastrolounge offers a wide variety of drinks such as juices, cocktails and wine, so, indeed, guests really can have it all in one place. Come nighttime, the gastrolounge transforms into a mini club, a place that’s still cozy enough, not too loud, but with music and awesome beats by Manila’s top DJs. With its themed nights, which are “Timeout Tuesday”, “Panic At The Disco” Wednesdays, “Thank Got It’s Thursday”, “Finally Friday” and “Don’t Stop” Saturdays, there’s always something new to look forward to every night. Have it all only at the newest star, the Universe Gastrolounge and Nightclub. Universe Gastrolounge is open from Monday– Saturday, 11 AM onwards. 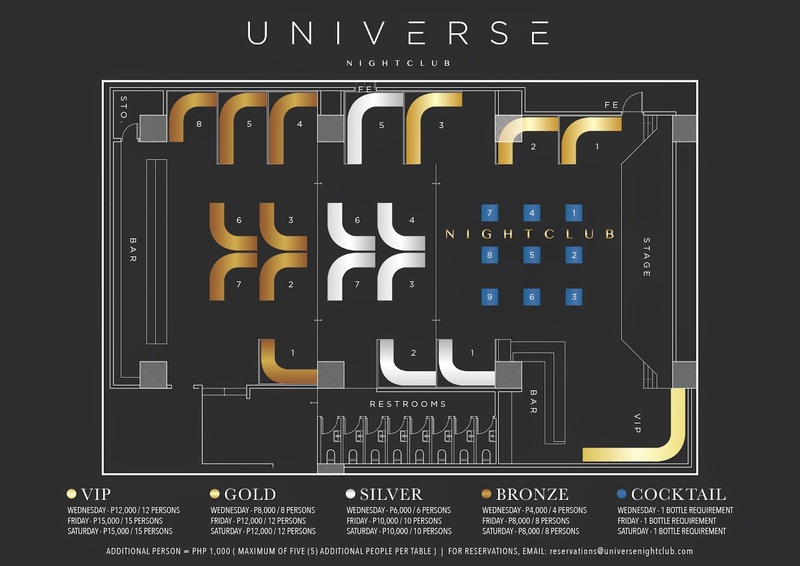 (Universe Nightclub is open every Wednesday, Friday and Saturday, from 10 PM onwards.) For table reservations, please contact 0917.550.8888. For event bookings, please contact 0917.550.9999. For more information and updates, visit Universe on Facebook (facebook.com/universeph); and Follow Universe on Twitter (twitter.com/universe_club) and on Instagram (@universe_club).